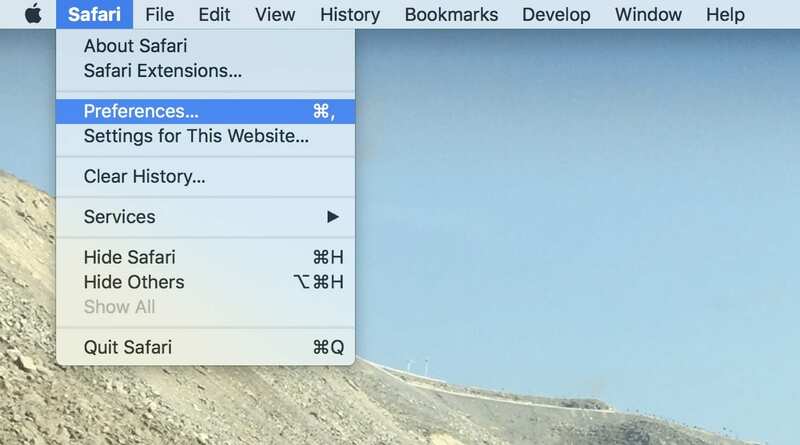 This article provides the information about Search.getmybestyear.com browser hijacker and guide the step-by-step removal instructions for its associated program files from the affected Mac OS X.
Search.getmybestyear.com is a browser hijacker that silently configures its own search preferences to the web browsers. It installs through fake extensions which comes as a freeware. 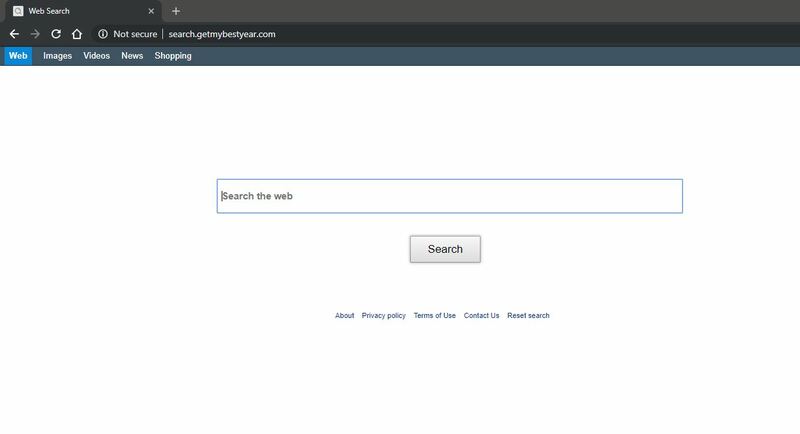 Once mounted on the browser, Search.getmybestyear.com manages to change system’s default settings like homepage, new tab and search engine. Thus, each time you launch your browser, you will be forced to carry out the searches using its search engine. Being a browser hijacker, it collects all the browsing data to serve advertising purposes. You have landed here, because Search.getmybestyear.com might have bothering you. Yes, it is an annoying stuff that needs complete removal. How Search.getmybestyear.com Adware got inside my computer? 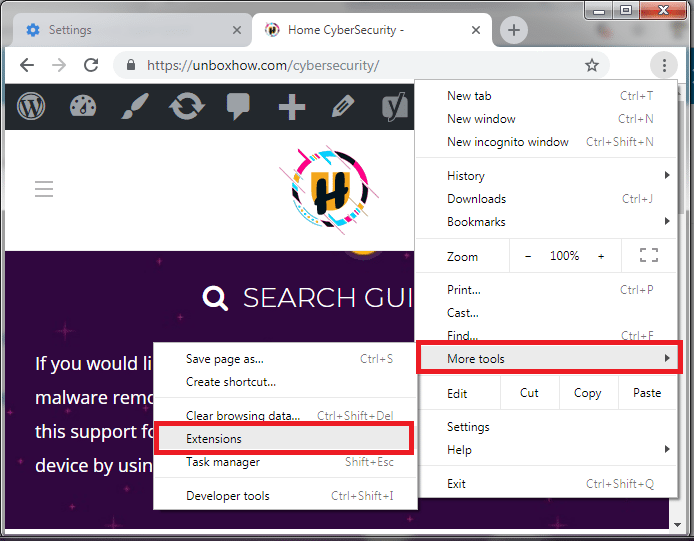 If you suddenly notice Search.getmybestyear.com search engine on your installed browsers like Google Chrome, Mozilla Firefox, Opera and Safari, then your computer might be infected. Generally, Adware and Potentially unwanted programs gets installed on the system without being noticed. Soon you have installed any fake program, Search.getmybestyear.com can slip inside your system. 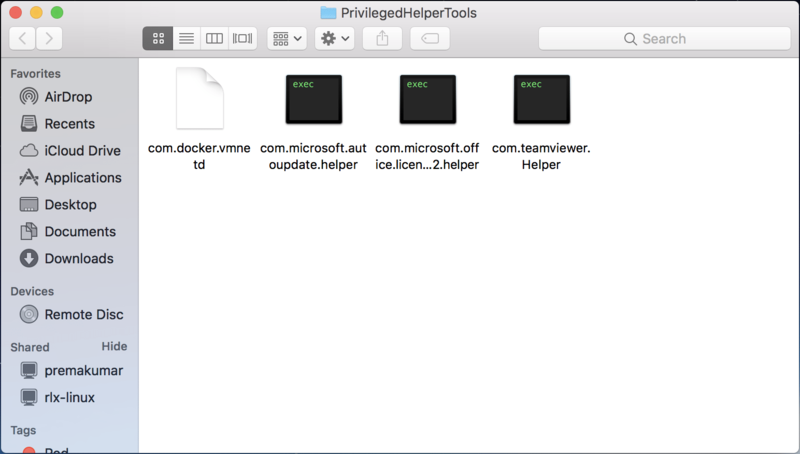 Freeware or third-party installers trick users to bundling unknown programs within to distribute them and earn commission. Most of the user, these programs does not disclose their full information and we also never review them at the time of installation. To avoid this, users needs to choose the custom or advanced installation procedure. You can choose what you actually want to install on your system. Search.getmybestyear.com is a sneaky program that modifies crucial settings of the browser while being unnoticed. 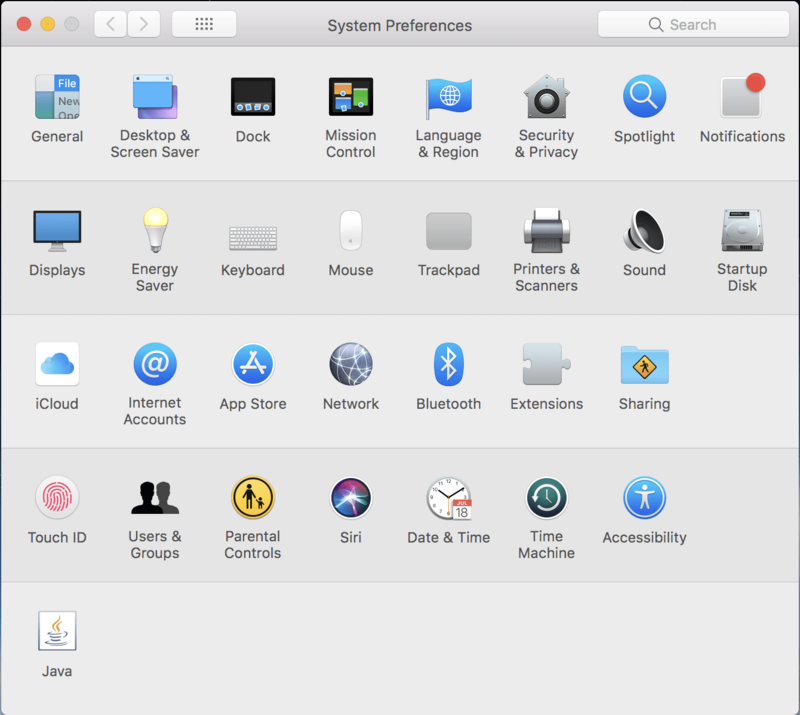 It installs its program files on your Mac OS and also attacks the installed browsers. This results in various changes to the way you browse before. Unknown links redirect questionable URLs and so on. The search results carried out on this page may not be real and usually contains lots of paid links and ads. Also if you visit any of it links then you are sending your information to third-party for exploiting it in several ways. Although, Search.getmybestyear.com is not a severe threat, but still it may risk your privacy by allowing third-party to collect your data. These data area filtered which may even contain your private information. Another thing of concern about Search.getmybestyear.com is that, such activities can weaken the security of the system, create loopholes or even clicking on suspicious ads could carry the payload of any any threat. Nowadays cyber-criminals are using scripts that loads when clicks on ads or hits any link. This way they spread the the computer systems. So it is better to stop them at their earliest. This is a complete removal guide that might take several minutes to complete. As it is very important to locate and delete programs files, shortcuts, startups and browser resetting so it involves all necessary steps. It is a detailed guide which best suits beginners as well as advanced users. 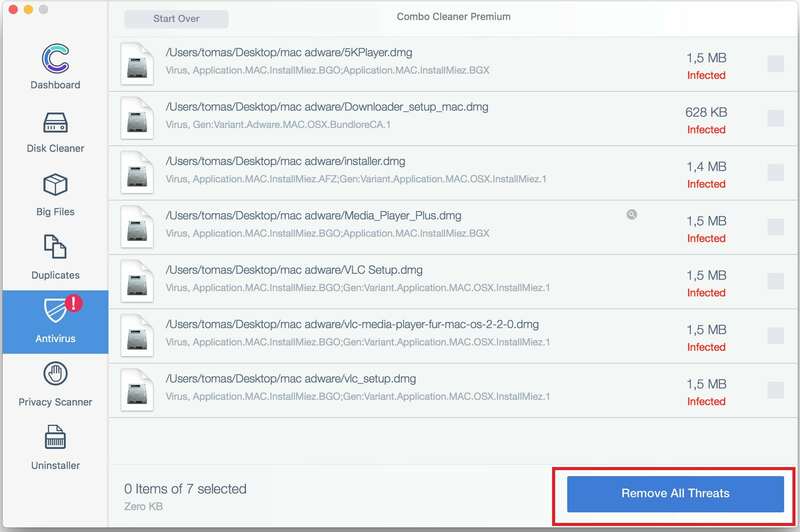 In order to successfully remove all annoyances from your Mac, you need to follow step-by-step instructions. 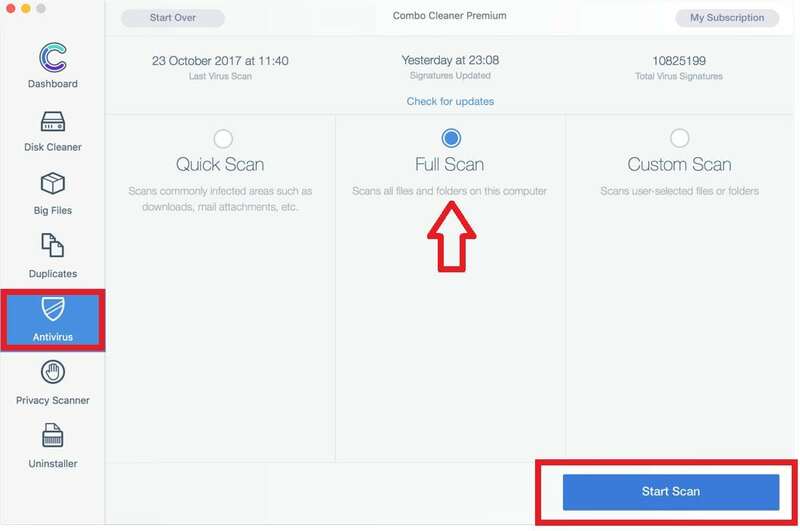 In any case, you feel stuck at any step, then don’t try to just play with them instead skip them then go to our step which is scanning the PC with anti-malware tool to detect and remove all the threats. “Search.getmybestyear.com” may reinstall itself multiple times if you don’t delete its core files. We recommend downloading Combo Cleaner to scan for malicious programs. This may save your precious time and effort. 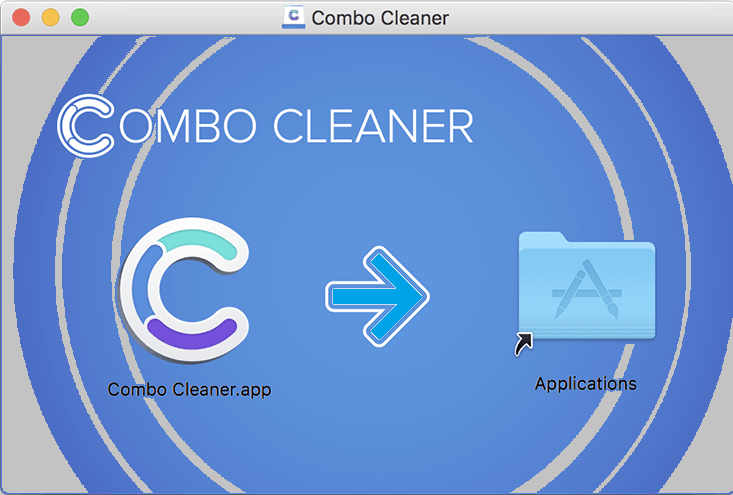 Combo Cleaner is a complete security suite for Mac OS that is developed by “RCS LT” company. 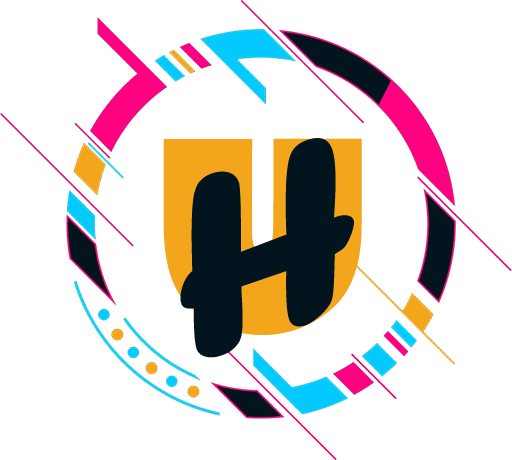 This program is featured with anti-virus scanner and system optimization tools like disk cleaner, duplicate files finder, application uninstaller, privacy scanner, and 24*7 customer support service. 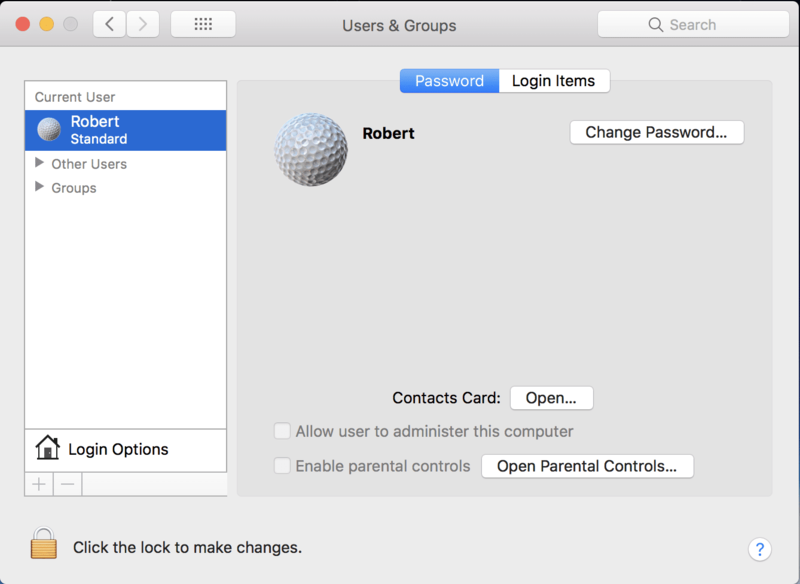 Rather than being just a traditional anti-virus or a system optimizer, this single program takes a different approach that eases the user from using a different application to keep their MAC OS protected and optimized. It is very important to have a reliable anti-virus solution for the computer system. 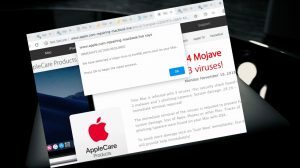 Combo cleaner is one of the best options for MAC users as detects and eliminates all sorts of threats like adware, browser hijacker, Trojans, and other malware. It is a light-themed, easy-to-use interface and keeps updating its threat database hourly to instant detect and remove any sort of malware. Thus ensuring not any malicious stuff is behind within the system. 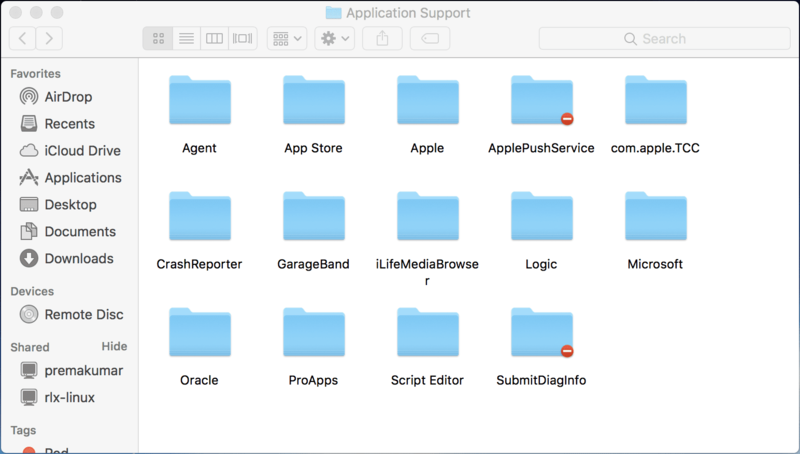 After the window opens, drag the Combo Cleaner program icon and drop into your “Applications folder” icon. 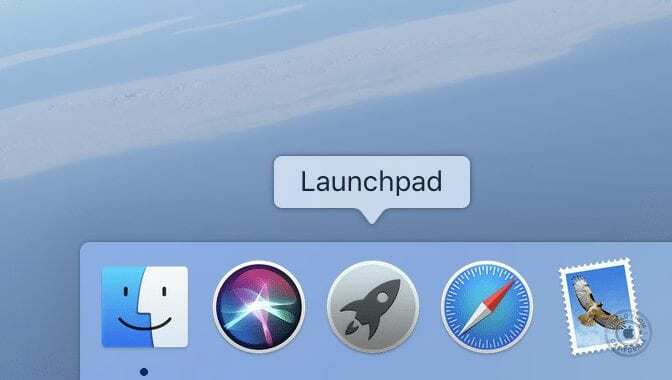 Now, open your “Launchpad” and click on the “Combo Cleaner” icon. 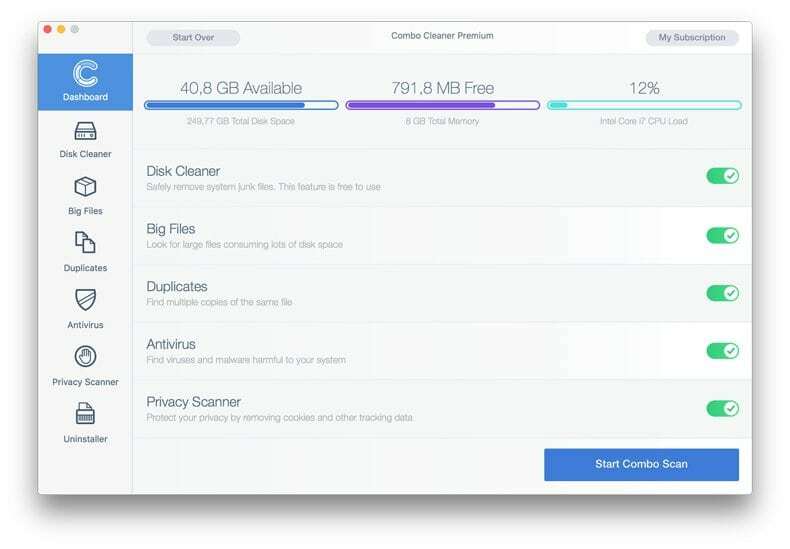 If you still have the second thought about this anti-malware, then you may want to check out our review article about Combo Cleaner. 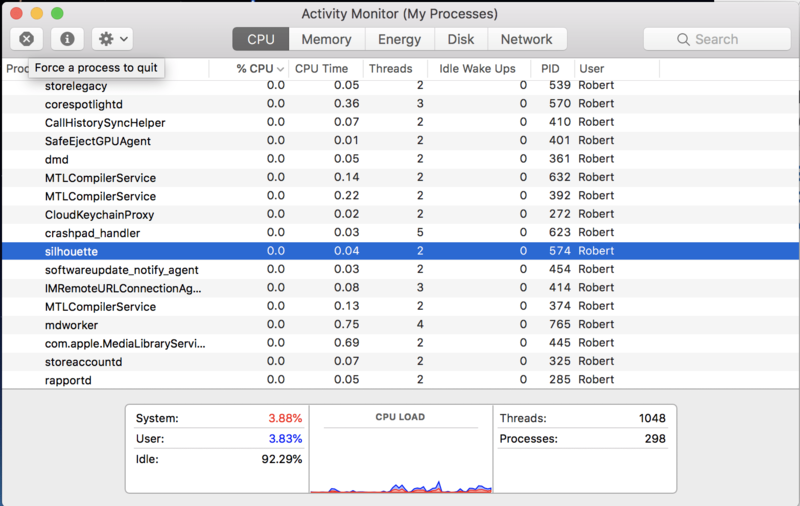 Scroll through the list of running apps, look for the suspicious ones that appear unknown to you or taking huge CPU resources. Use the [x] button to quit the process. Open “Finder” by clicking on the Finder application on your dock. 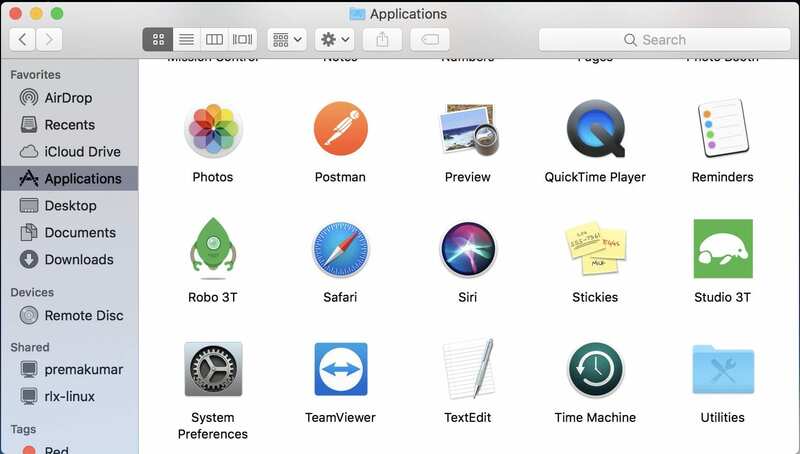 In the left pane of the Finder, click on “Applications“. Next, you need to locate the Adware/suspicious apps and remove them. 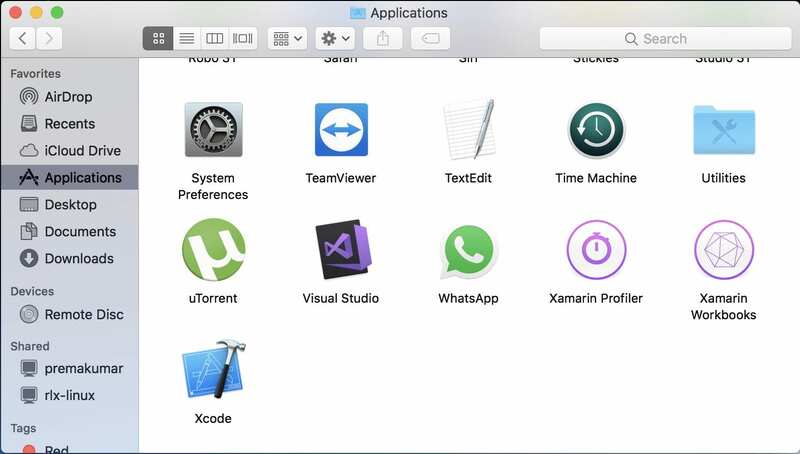 The “Applications” window will display the list of all apps installed on your Mac OS. 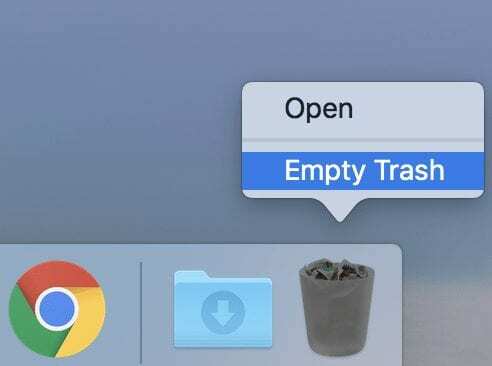 Now, you need to go through the list to find out the suspicious/malicious or infectious app, select it then right click and then select “Move to Trash”. 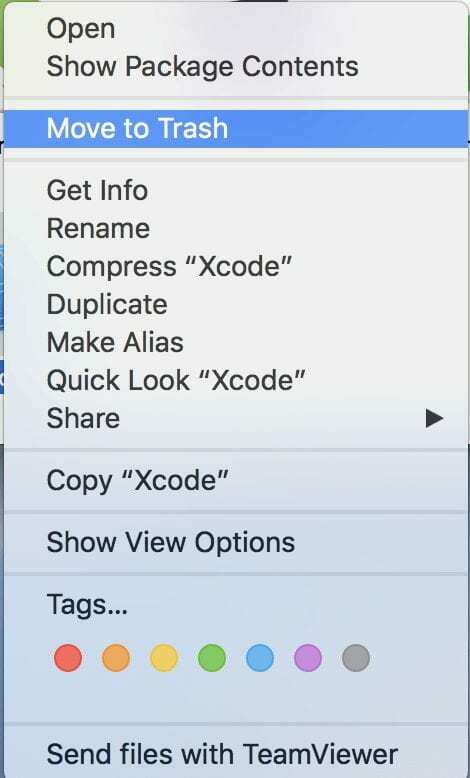 (Repeat this step until you remove all such apps). Now you need to empty the trash as sometimes program can restore themselves from the trash. 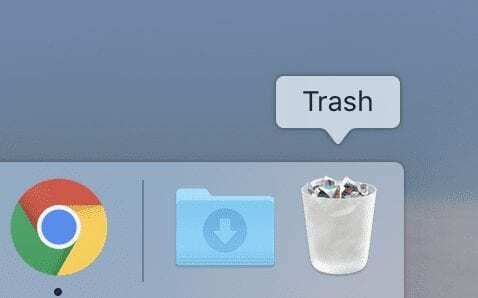 On your dock, right-click on the trash icon and then select “Empty Trash”. NOTE: if something looks suspicious to you but you are not sure of that, search the web to find out more about that app. 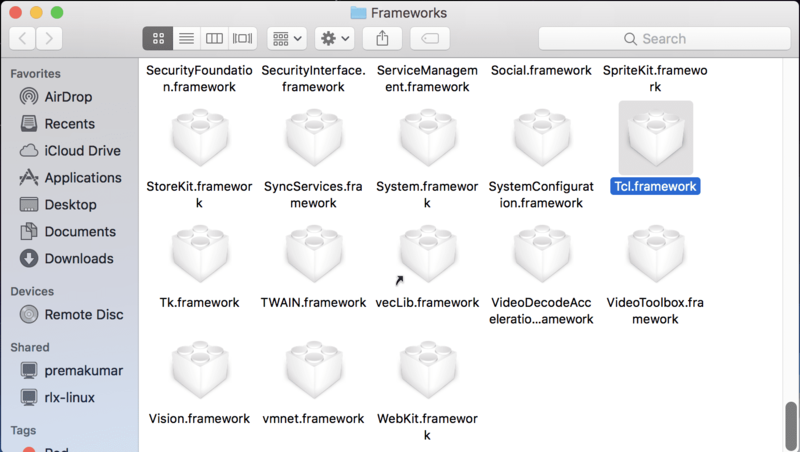 Generally, malicious programs, Adware and spyware add themselves to the boot process to launch automatically whenever the device boots. So, you need to find such apps and remove from the startups. 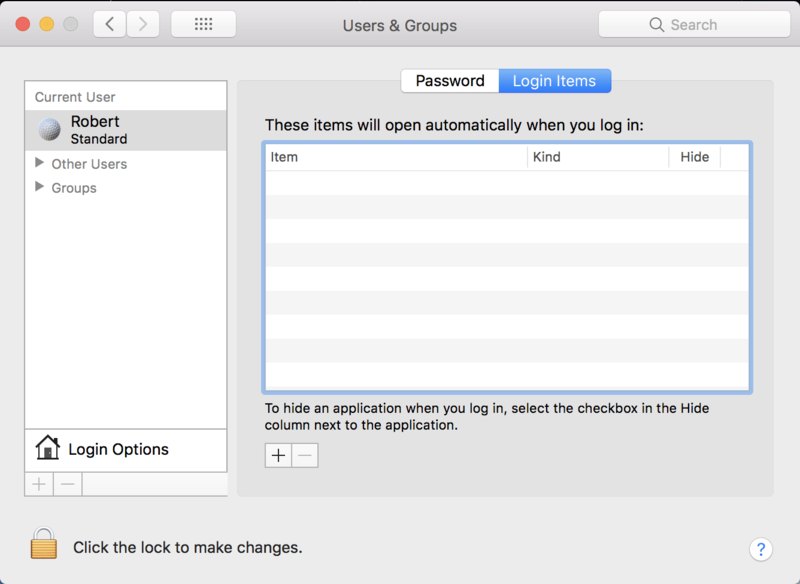 A list will appear showing login items; check the list and use “—” sign to disable any suspicious or unwanted apps you see. Close the screen. Next step, from the top menu, choose Go ? 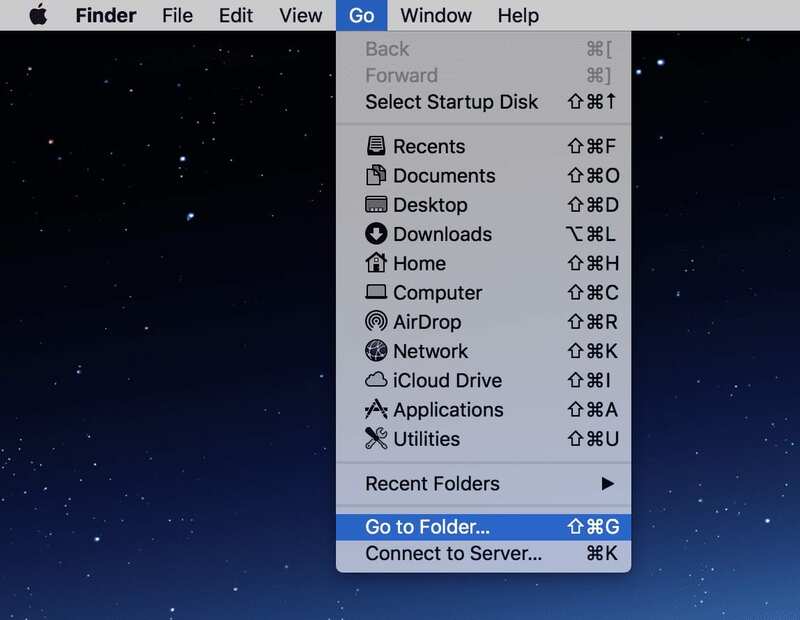 Go to Folder, then type /Users/Shared/ within the search box. 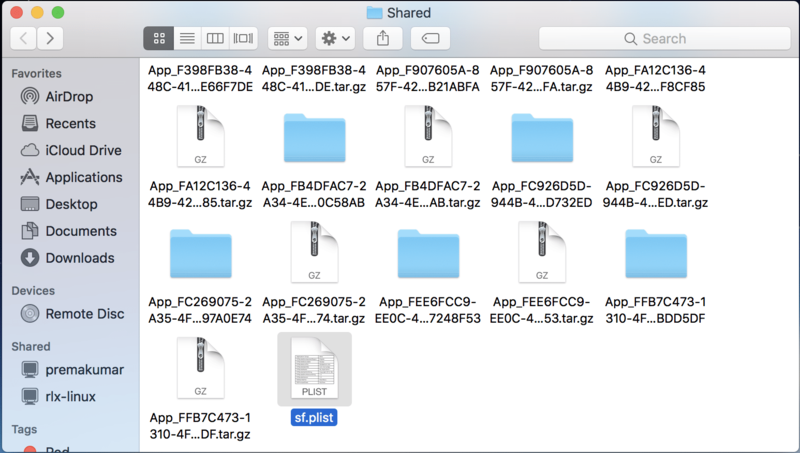 In the “Sharedfolder”, you need to delete the “Similar” files and folders. 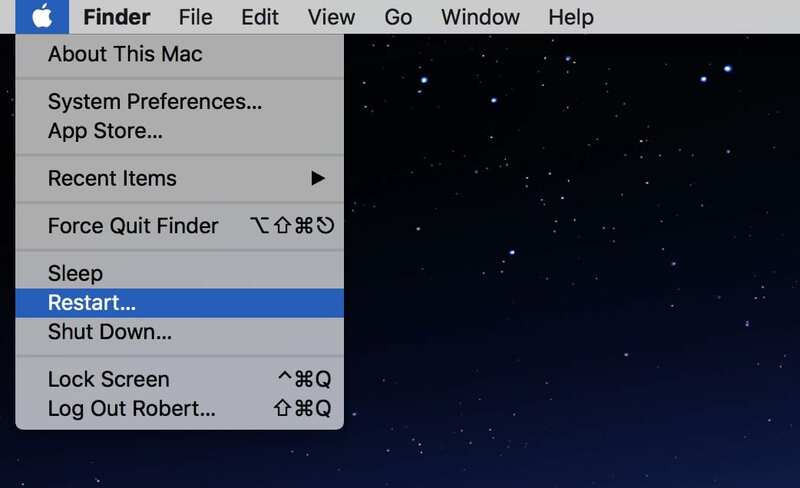 Now Restart your Mac to make the changes into effect. 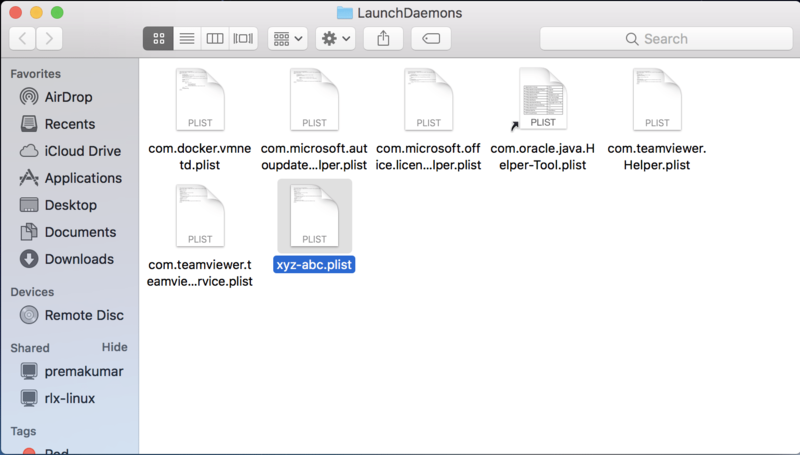 Type in “/Library/LaunchDaemons”, within this location you will see lots of files with .plist extension. Scroll through it and find the ones which appear to be suspicious and delete them. 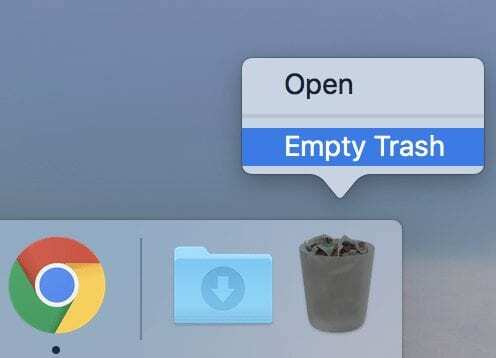 Don’t forget to empty the trash and then restart the computer. 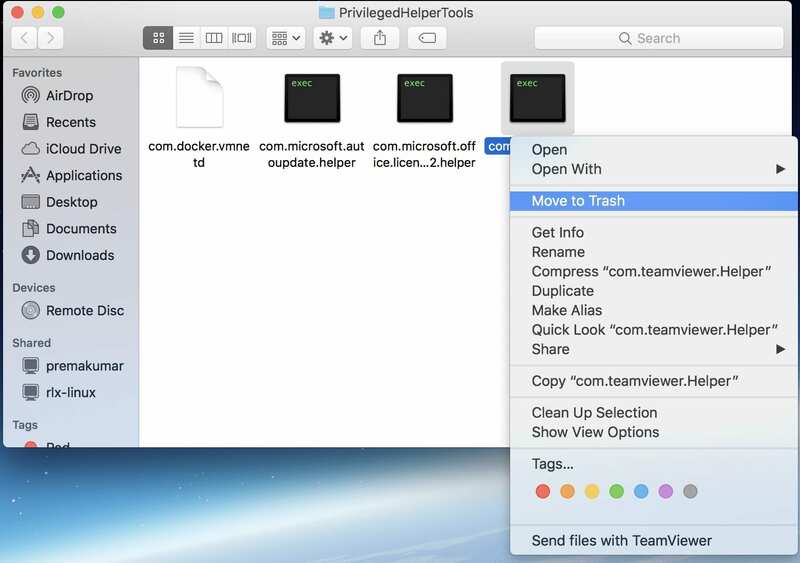 Put the file to trash, if you find one with a malicious name. Put them to trash and again empty the trash and restart the computer. 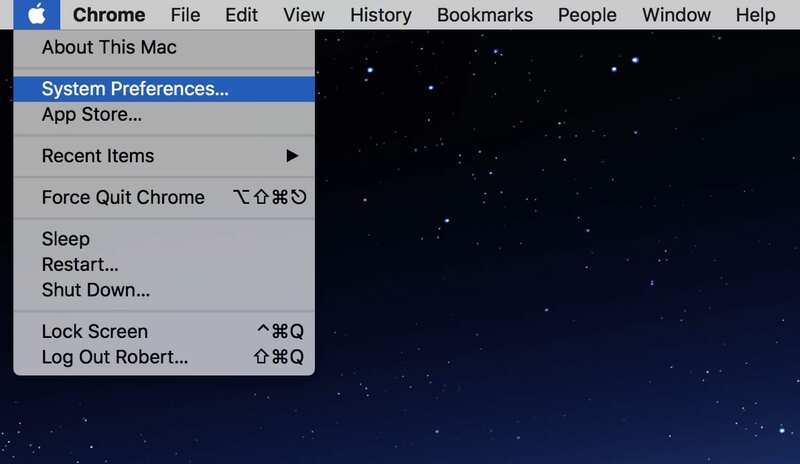 On the Safari browser, click the “Safari” menu then select “Preferences”. 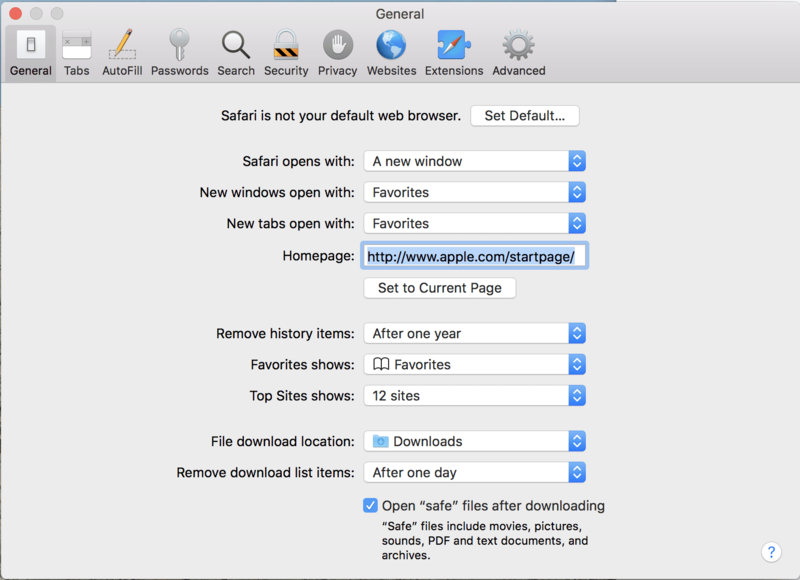 On the General tab of the Safari preferences, check for any unknown URL added as the default homepage, Within the “Homepage” field enter your preferred URL as your default start-page of the browser. Next, you need to check for malicious extensions, click on the “Extensions” tab on the same window. 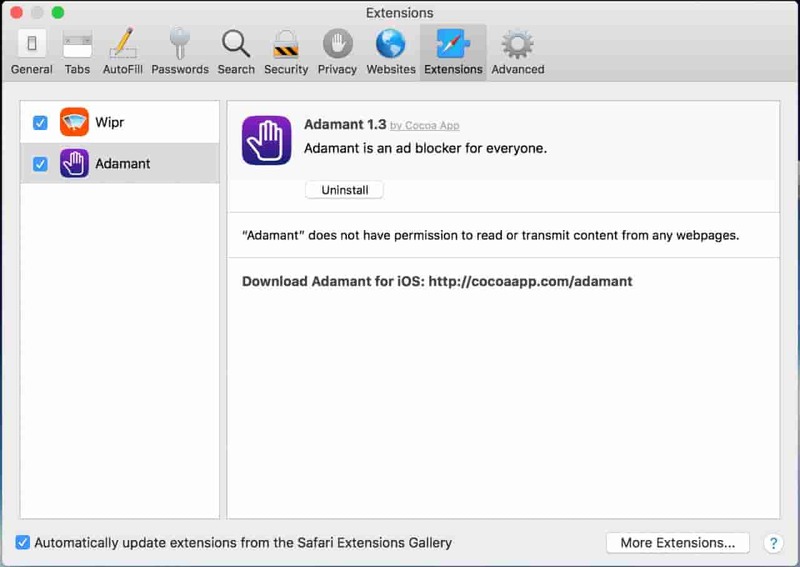 “Extensions” screen will list all the extensions installed on your safari browser, you need to browse through the list and uninstall the ones which appear to be Adware. 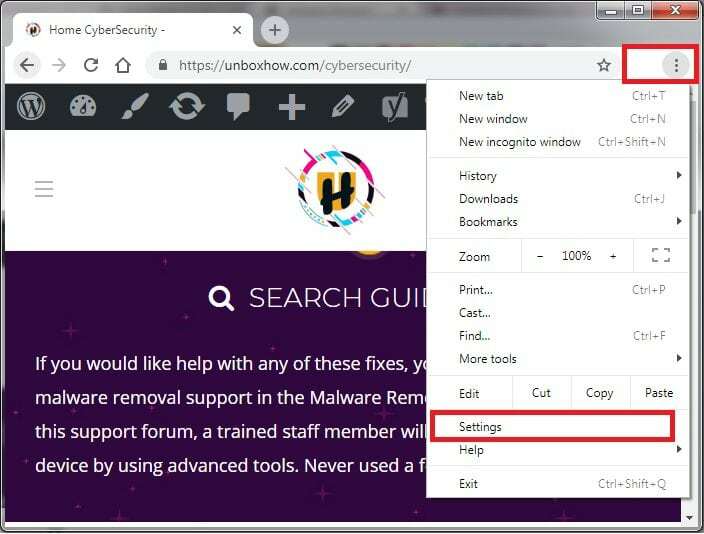 If you find a malicious extension select it and then click on “Uninstall”. Repeat the steps to remove all unwanted extensions. Click on Chrome Menu(three vertical dots at top-right corner) ? Select “Settings” ? 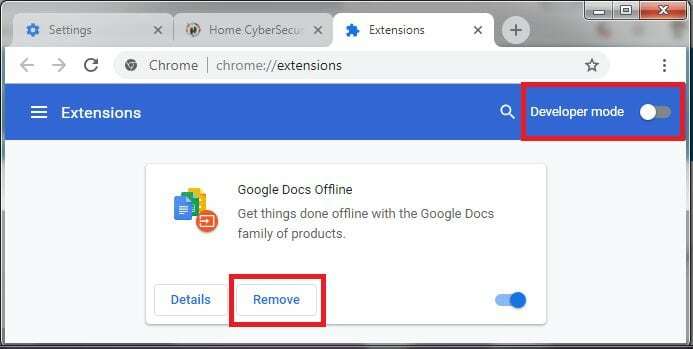 Choose “Extensions”. 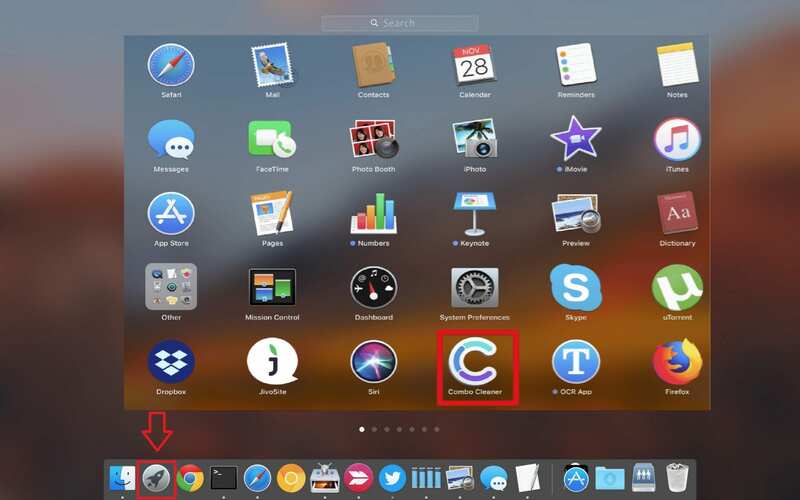 Scroll through the list of extensions installed on the Chrome browser, if any one of them appears to malicious then click on the “trash” icon next to it. This will remove the extension. Repeat the step until you are sure of the ones you like to keep. Next, you need to reset the default settings like search engines, startup, and new tabs. 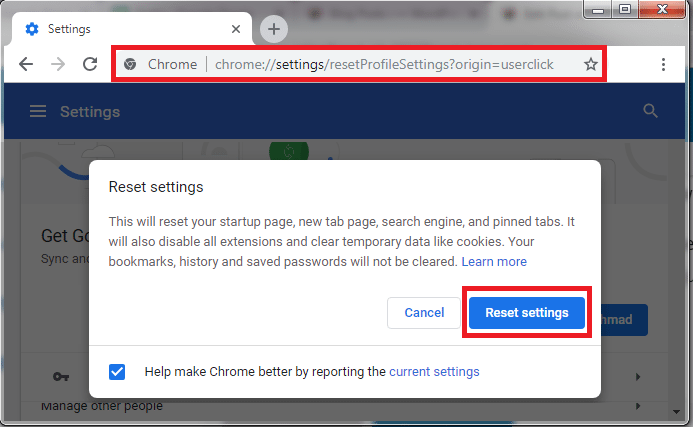 It is better to use the default reset feature of the Google Chrome which will reset all the unwanted modifications done by third-party programs. Don’t worry you will not lose your saved passwords and bookmarks. 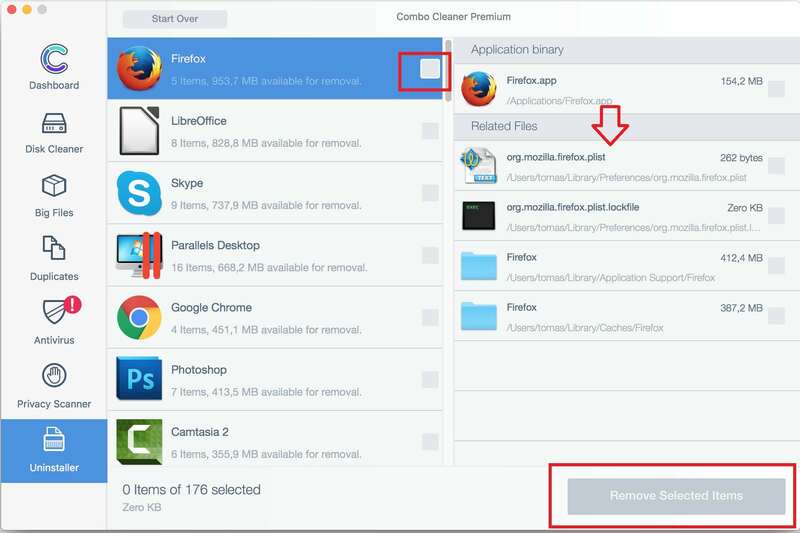 However, it will delete cookies, extensions, startups, URLs, homepage and new tabs preferences. Click on Chrome’s main menu then choose “Settings“. Scroll to the bottom of the page and click on “Advanced”. Under the Advanced page, go for “Reset and clean up” section, then click on “Reset settings to their original defaults”. Click on the “Reset Settings” button to confirm the procedure. After that, it may ask to restart your browser, click “Yes”.